Living in the city often means having to live in a small apartment. That's why it's important to use every square meter of your home in an intelligent way to create more living space and enjoy the full potential of the apartment. So here are some helpful tips for making the most of the space you have as small as it is! When you have a particularly small kitchen, fruit bowls take up too much space on the countertops. 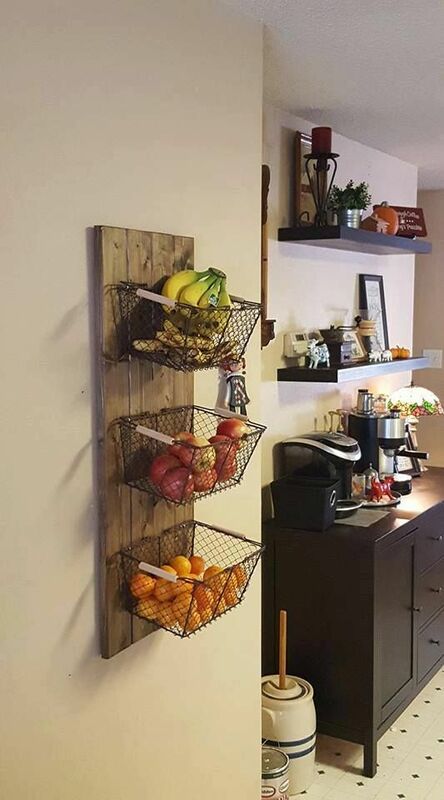 You simply have to hang all the bowls you have on the wall. In addition to keeping all fruits and vegetables that do not need to be refrigerated in a central location, this method gives you more space when you prepare your meals. 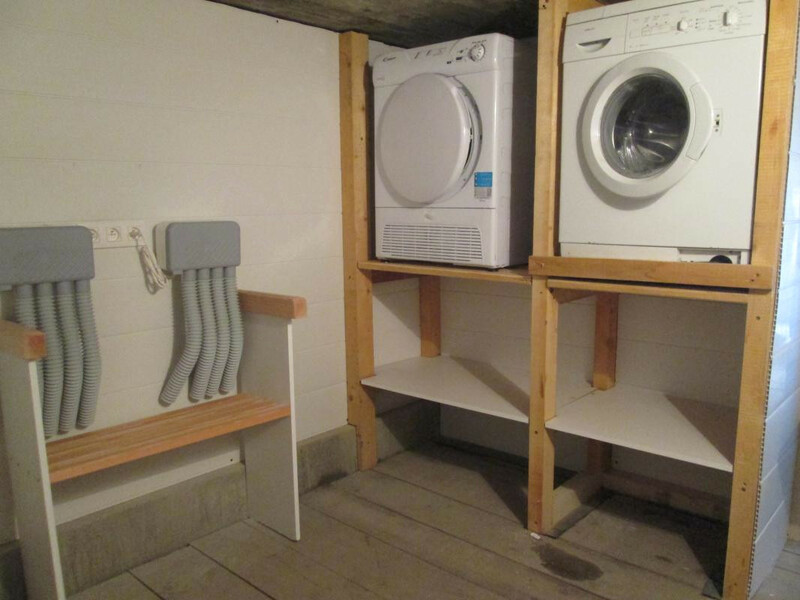 You can keep all your laundry and detergents in the space between your washing machine and your dryer. The washing machine itself can also be used as a worktop for folding clothes or ironing. 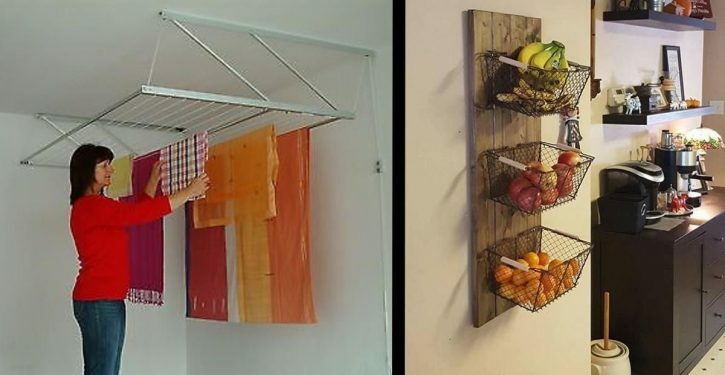 You can then hang all the clothes using the space above the washing machine by installing a clothesline or bar. 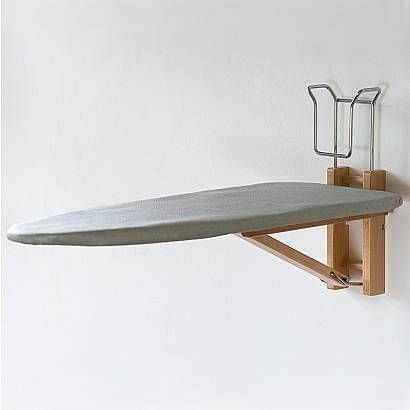 Ironing boards can take up a lot of space in the laundry room. That's why it might be worth investing in an ironing board that unfolds from the wall. The ceiling is probably not the first place you would think when trying to find ways to save space. 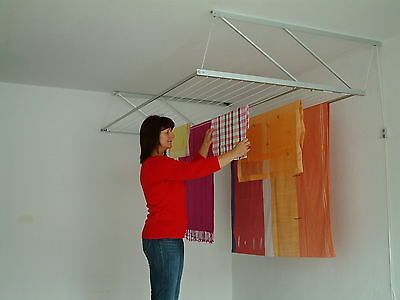 However, this part of your house can be used intelligently if you hang clothes lines there. This tip will save you valuable floor space. Here is a last tip for your laundry. Stack the boxes on each other in book shelves by sliding them into the grooves as shown in the picture. Then label each box by the wash temperatures or if it is a "white" or "color" wash. 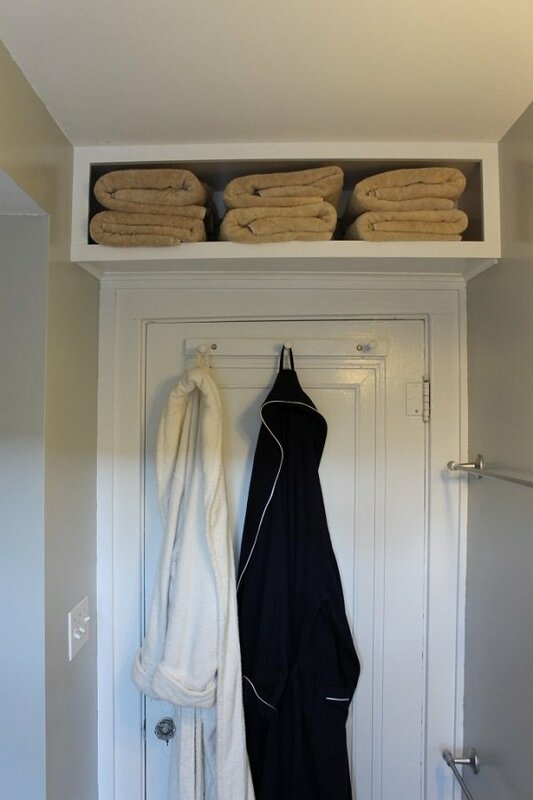 Maximize the space above your door by adding a shelf. Although this idea focuses on the bathroom, you can also apply it to the bedroom or the bathroom. By installing a shelf above the door, you can create a custom built look to hold a number of items and save space. 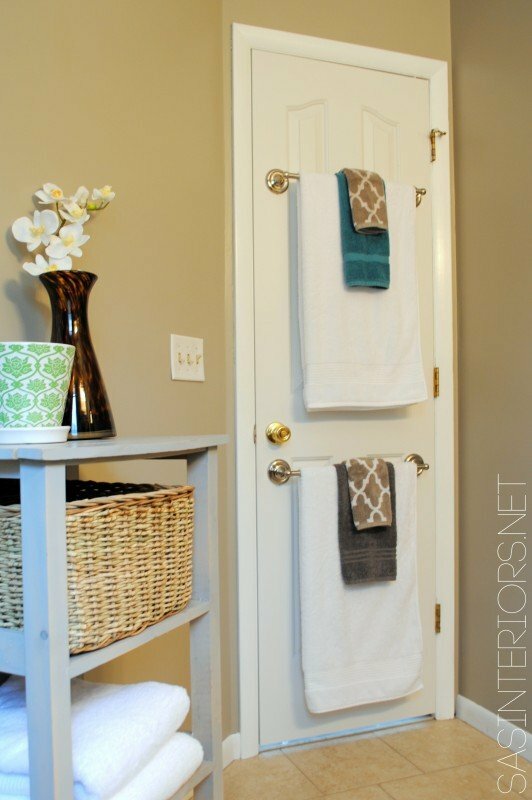 Install a towel bar at the back of the bathroom door. Do not underestimate the space behind the door. The door handle automatically creates a good 5 to 10 cm gap between the door and the wall. This creates the perfect space for one or two towel rails. 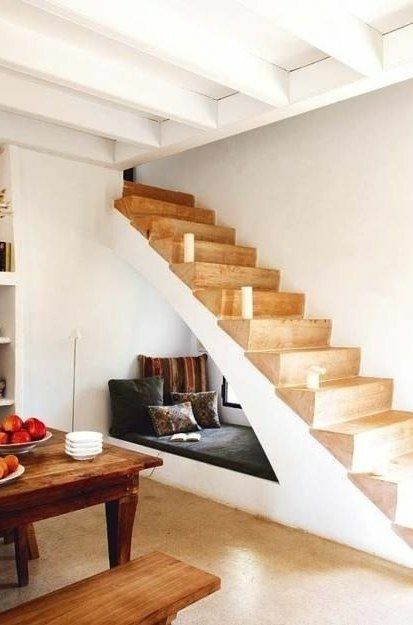 The area under the stairs can generally be used efficiently. Some people keep their books there, while others use it as a pantry. This does not stop there, you can use the area as a cozy little reading nook or a place to relax. When there is more than one person in the house, it can become very chaotic with several pairs of shoes near the door. To avoid this mess, invest in a decent shoe rack where you can keep a pair of shoes on each level. The clutter of the shoes should then belong to the past. 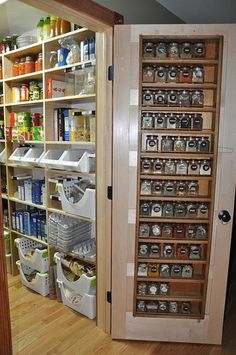 Those of us who love to cook often have a hard time finding a place to keep spices in the tiny kitchen cabinets. Have you ever thought of installing a spice rack inside the cabinet door? Try, it's very ingenious! If you have a garage, you will know how fast it can get cluttered. To create more storage space, it is best to put the tires first. 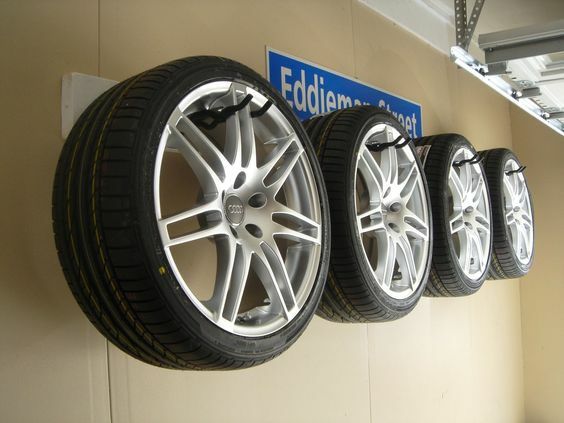 Simply hang the tires on large hooks attached to the wall and they will be out of your way for good. 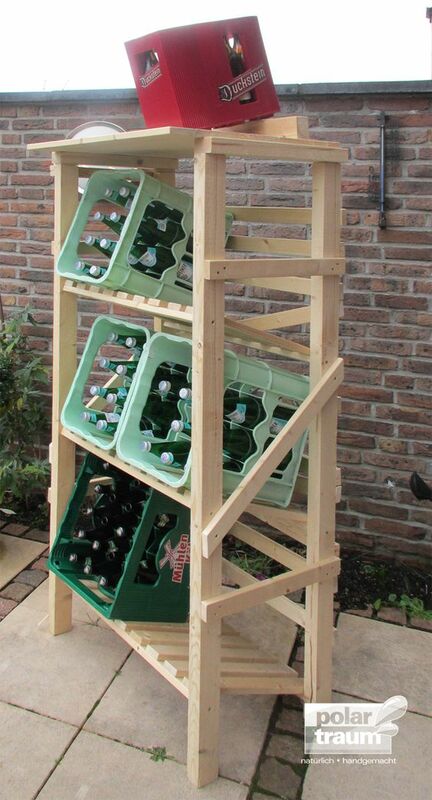 Do beverage crates take up too much space in your kitchen or in your pantry? We recommend buying a support for them or building your own. 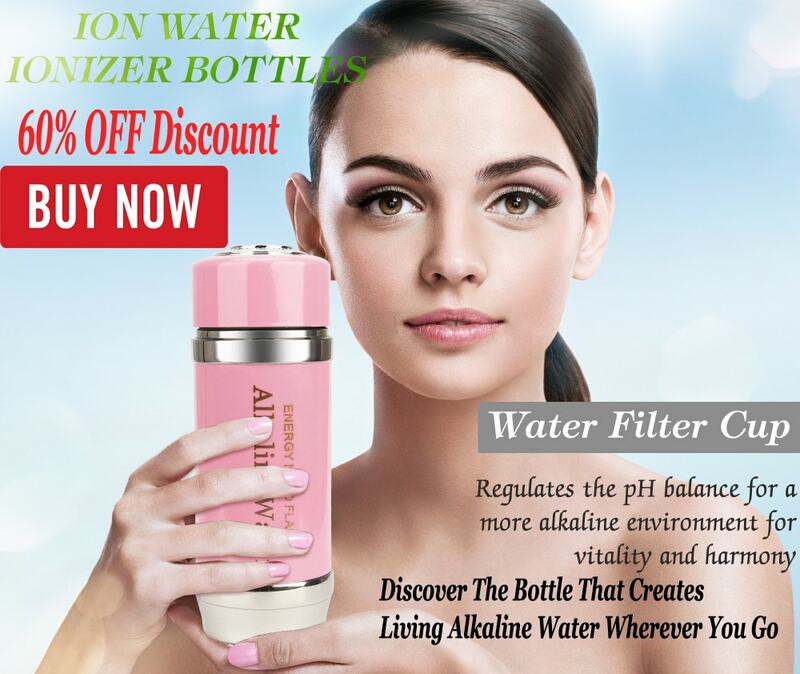 As in the picture, it is preferable to have shelves inclined down so that the bottles can be removed from the box more easily and they are not likely to fall. As you can see, the efficient use of your space is not difficult, just several simple tips. Keep in mind that your walls can be used for installation of various media. You should also opt for narrow and high shelves if you want to save space.